A fabulous pair of handmade wooden earrings. 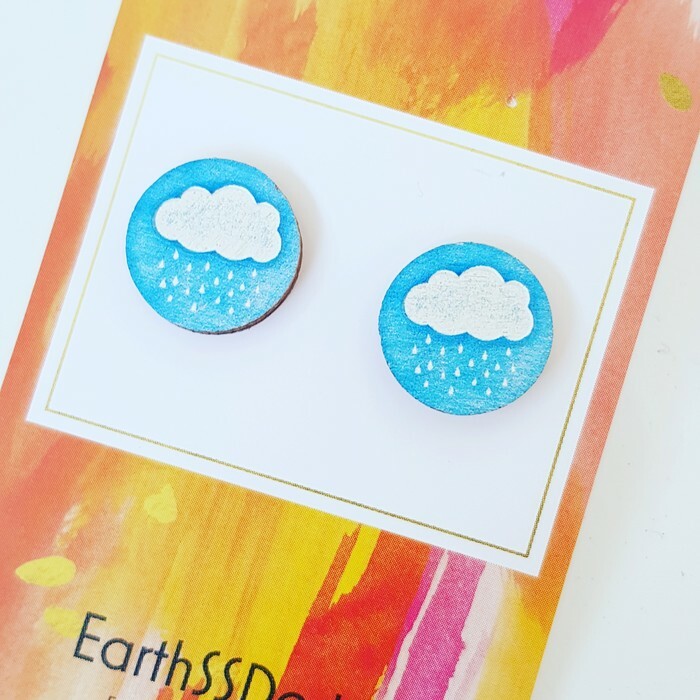 The earrings are a wooden disc measuring 16mm in size with a fun design on the front, then mounted onto a steel earring post. Each pair of earrings is attached to a labelled backing card.